Volume 3, Edition 2	 Trouble loading? View this email online. 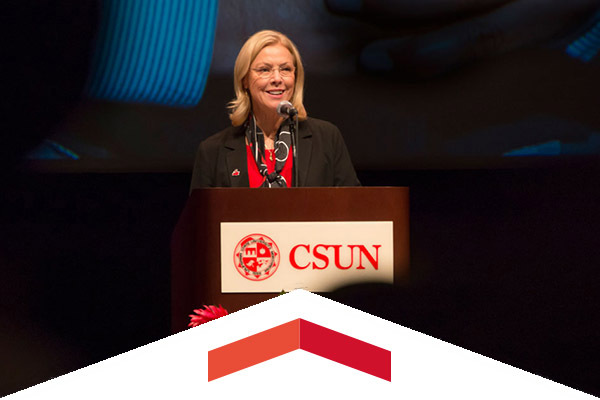 In what’s become the university’s own State of the Union, CSUN President Dianne F. Harrison this week greeted hundreds of new faculty members and staff — and welcomed back thousands of those returning to campus — at her annual fall welcome address, which took place Aug. 20 at CSUN’s Valley Performing Arts Center. 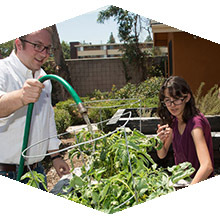 Serving more than 4,000 Jewish students, ranking first in California and 13th nationally, CSUN gives Jewish students a home and support network during their college years. 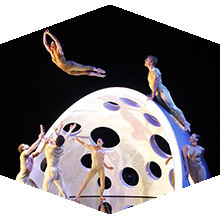 The world-renowned Diavolo, a Los Angeles-based dance company known for its unique “architecture in motion” style, will participate in CSUN’s first-ever residency program, including a campus “takeover” beginning, Aug. 31. 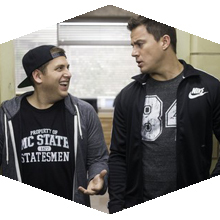 Join us for our last movie of the summer featuring Channing Tatum and Jonah Hill. Sat, Aug. 29, 4 p.m.
Public reception for this unprecedented exhibition of famed Marvel comics artist, Jack Kirby. Sun, Aug. 30, 1 p.m. Double up when CSUN women’s soccer takes on New Mexico State at 1 p.m., followed by the men facing Loyola-Chicago that evening at 6. Separate tickets needed for each game. Former CSUN music major and professional film composer Patrick Morganelli’s career path after graduating from CSUN took a different trajectory — one where he felt as comfortable in the cockpit of an F-14 Tomcat jet as he did behind a piano. Born in Shanghai and raised during China’s Cultural Revolution, Yi Li eventually came upon mathematics as a fallback after he was found to be color blind. Undeterred, he dedicated himself to his studies and eventually earned his doctorate and became an advocate for diversity in STEM fields. This semester he begins his next chapter as the new provost at CSUN. CSUN hosted approximately 500 pre-K-12 teachers at the inaugural Better Together: California Teachers Summit in this summer. CSUN’s Valley Performing Arts Center was filled with teachers eager to learn and network with their fellow professionals through the exchange of educational best practices. Nearly 11,000 pre-K-12 California teachers throughout the state participated in the event.